I know that this lesson dwells on the darkest of The Cosmic Key influences, which might be challenging to some, but there’s nothing more definable in life than death. The fact that these influences can be so readily discerned is a testament to the veracity and authenticity of The Cosmic Key. 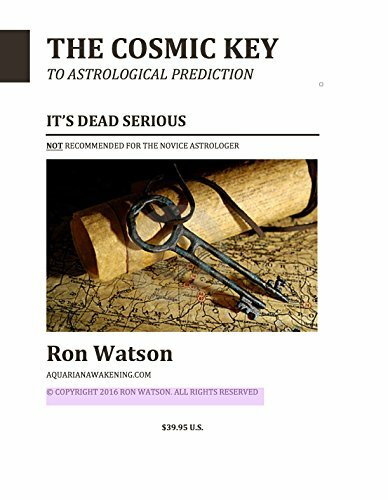 If I did not share it with the astrological world, I would have taken the legacy of my fifty plus years of astrological research to the grave with me. Astrologers can extend the reach of their talents and vision by cultivating a loving, caring heart for their clients: Wisdom is made perfect in love. The astrological chart opens the door to prophesy. 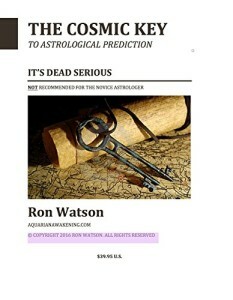 I can teach anyone the mechanics of astrology. However, the dynamics can only be seen by a few, and they are the giants in the field who truly see with the eyes of love and know how to “BE HERE NOW“ AND TOTALLY IMMERSE THEMSELVES INTO THE UNION WITH ANOTHER. Those who are seeking recognition, fame, and fortune will ultimately always fail, as they will be blinded by their deceit, greed, and insincerity. Stay true to your vision of assisting others by touching their souls with light, love, and wisdom, and you will, most certainly, continue to be the giant you aspire to be. There is a saying: “The teacher who never has a student excel him, is a poor teacher.” I have high expectations from my students. My advice to my students is: Be patient throughout your journey, as I know you are, and know that the gift of being psychic is only an extension of your ability to love others and BE in their space completely when you are with them. If you can see someone and embrace that person completely in your love and see him or her perfectly in the divine moment, you will divine (divine means to soothsay, or prophesy) all there is to know about their past and their future and be a prophet, because the more perfectly you behold a person in the moment, the more you will see the threads of the past and those of the future. To be in the now is to know most completely and presently the essence and core truth about anyone. To be totally in the present is to be in His Presence. As the Good Book says: “Be still and know that I AM GOD” (Psalms 46:10).